Yesterday marked both a beginning and ending, as changes often do. When I first started out working for myself, I was given the opportunity to work part-time for Felt, doing support and admin. This was just what I needed, and it came along at the right time. It gave me regular work while I spent time building up my business. It has also given me a valuable insight into how a great business works – thanks for the opportunity when I needed it Lucy! 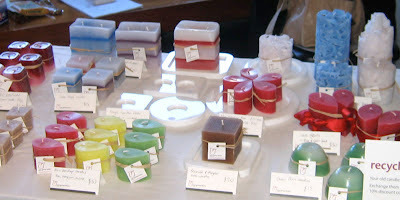 Now it has come time to take the leap again, and let this go to focus more on my candle making efforts. So along with yesterday being my last day answering Felt enquiries, I also sent off two posters to print that I have been meaning to do for a very long time, and picked up my very first colour laser printer. So it was a day of milestones! My next big step is that I will be exhibiting at the Winter Gift Fair in Christchurch next weekend. This is both an exciting and daunting prospect. It is a chance for retail buyers from all over New Zealand to source new products for their stores, so I have to be well organised! I'm hoping to make lots of new contacts, and pick up some orders. The past few weeks have been a time to look back as well. 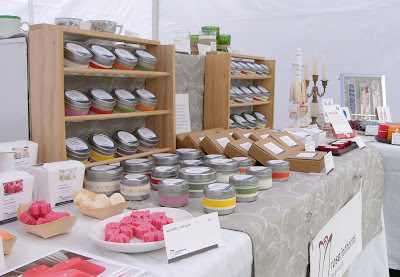 It's been just over three years since my first market, and at the recent Encraftment market, I sold the last of the candles I made for that first market. It's interesting to look back and see how much my products and displays have changed over this time. I recently caught up with an old acquaintance I hadn't seen in almost 10 years, which reminded me of the old days in my first flat. It's also been nearly 10 years since my uncle passed away, and I've been thinking about him recently too. He had ongoing health problems, but his incredible resilience had led me to believe he was invincible, which sadly wasn't the case. He had an amazing zest for life, an insatiable appetite for learning and a great sense of humour. He was interested in everything, and I remember the last time I saw him, he was asking all about what I did in my job. I'm really glad I had the opportunity to get to know him. I wonder what things I'll be looking back on in ten years time? Only time will tell, but hopefully they will be interesting!